The cost of rural crime soared to £42.5 million in 2015 as criminal gangs continued to wage war on the countryside. Figures revealed by Farmers Guardian and NFU Mutual showed that as well as targeting livestock, machinery, farm vehicles and hi-tech equipment such as GPS systems, thieves used cyber-crime in order to dupe their victims. 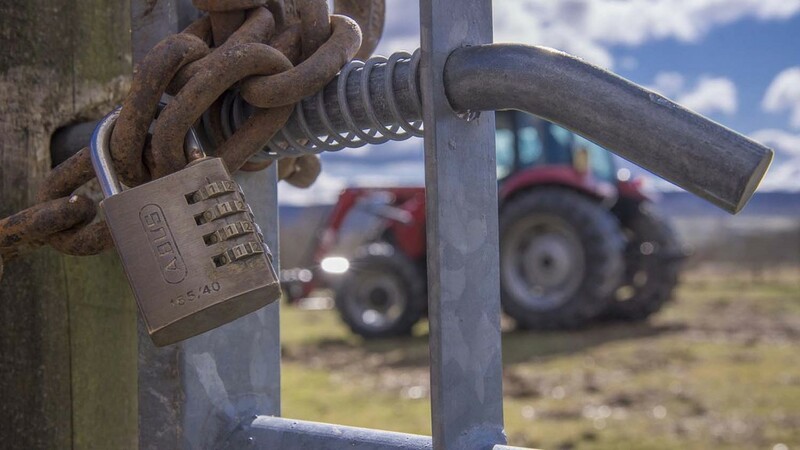 Popular tactics used by fraudsters included conning farmers into giving them their bank details and passwords and luring others to hand over cash for non-existent machinery. 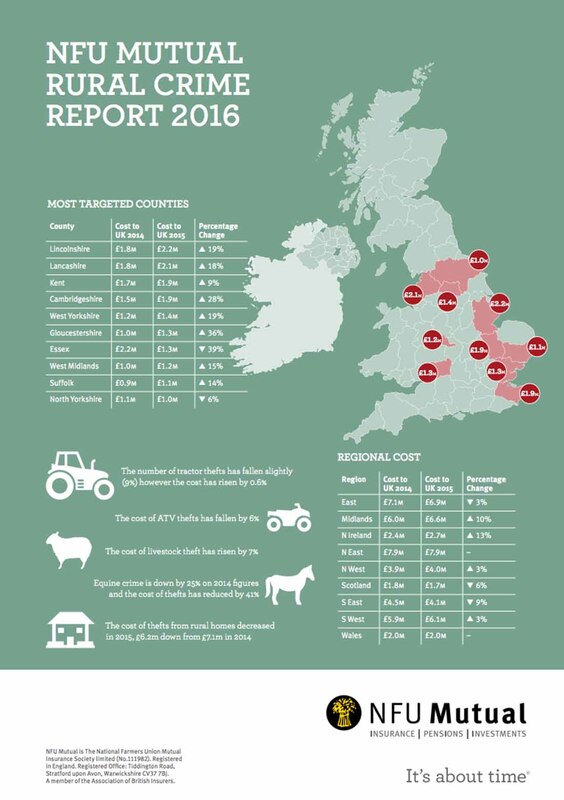 NFU Mutual’s annual rural crime report showed criminals cost the UK rural economy £42.5m, up from £37.8m in 2014. The worst affected regions remain the North East and East of England, costing £7.9 and £6.9 million. Whereas the Midlands and Northern Ireland saw the biggest rises, on 2014, with costs increasing by ten and 13 per cent. Scotland and the South East however saw reductions of six and nine per cent. Scotland also has the lowest cost of rural crime, £1.7 million, closely followed by Wales, costing £2 million. The Mutual’s rural affairs specialist Tim Price said thieves had become more sophisticated in their techniques, meaning farmers had to work even harder to avoid falling victim. "Farmers are having to regularly update security measures at considerable cost to keep high-tech criminals at bay,” said Mr Price. Police statistics sent to FG under the Freedom of Information (FOI) Act showed tractor and ATV thefts decreased in England and Wales by 17 per cent and 10 per cent respectively. Sheep thefts dropped from 1034 in the period October 1, 2014 to March 31, 2015 to 859 in the same period in 2015/16. Police Scotland was not able to provide any crime figures. While many forces have taken steps to address the spiralling cost of rural crime, farmers in some rural areas feel let down by police and have taken steps to address the issue themselves, for example by setting up rural and farm watch groups. But worryingly, some farmers and their families say they have been left with no other choice but to change their farming practices or quit the industry all together. Mr Price added: “Rural crime has had a profound effect on farming in certain areas. Mr Price said as well as impacting business decisions, the human toll of criminal activity was often forgotten. “If people are unable to keep their farm secure this causes stress and can easily get to the point where they feel they are unable to continue farming anymore,” he added. Previous Article Could Chinese demand signal dairy market recovery?